What happened to the summer, it flew by?! Well, I had a semi-successful reading month in August. I read quite a bit, which was good news for my Goodreads annual reading challenge, but I didn’t read all the things I planned to, I went maverick. I have also been a tad enthusiastic with the one clicking in August, but there have been bargains and I really can’t resist them! Some bargains are still ongoing, for example, check out this mahoosive sale from the Austen Variations authors until 5th September. 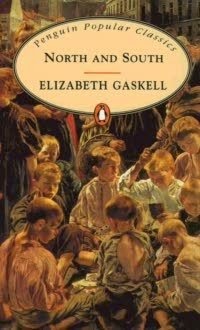 I had meant to read Northanger Abbey but I got sidetracked by the lure of a group read, and started reading Mrs Gaskell’s North and South instead (as an aside, this is the book cover on my copy, and I really don't like it one bit). This is a book I’ve read quite a few times before. 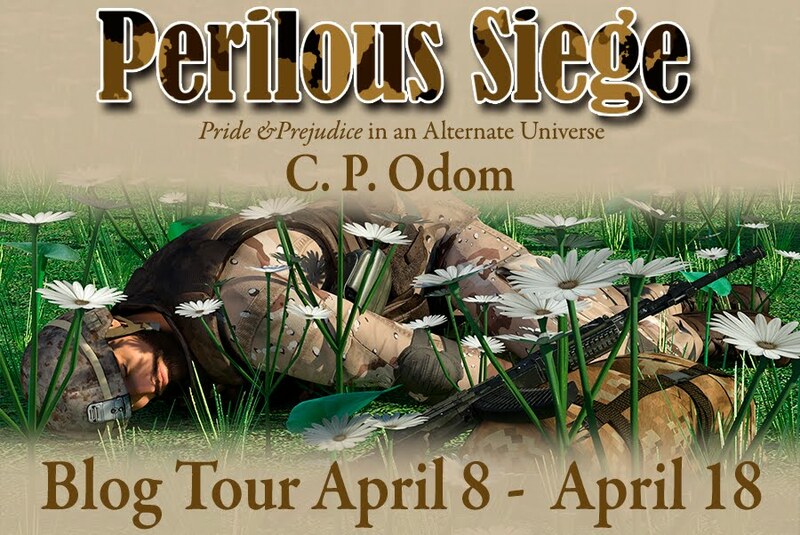 I would describe it as Pride and Prejudice with a social conscience. The dynamic between the main characters is absolutely full of both prejudice and pride, and being a Victorian book there is a thread relating to workers rights and the moral role of the employer in improving the lot of his workers. 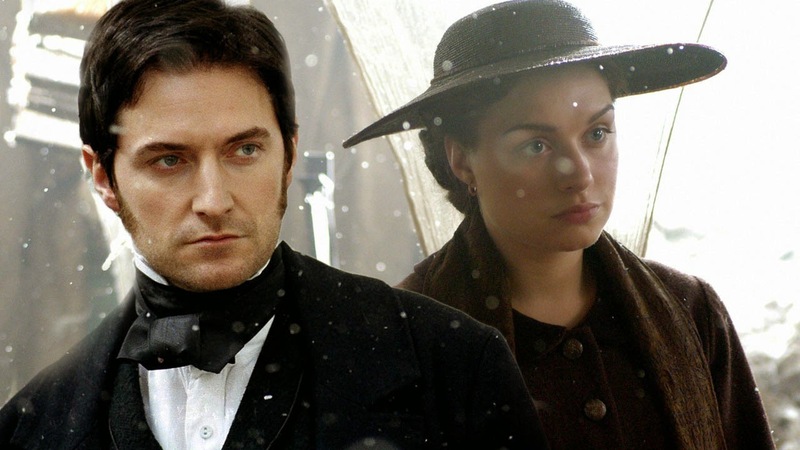 It's also known to many from a very popular BBC adaptation featuring the smouldering Richard Armitage (sigh!). I’m still reading this one. For my Mansfield Park read I had intended to get The Beresfords by Christina Dudley, as I’ve heard good things about it from Meredith over at Austenesque Reviews. However, I was lucky enough to win a Mansfield Park ‘what if’ variation over at My Jane Austen Book Club so since I’ve won a book I thought I should read that instead. 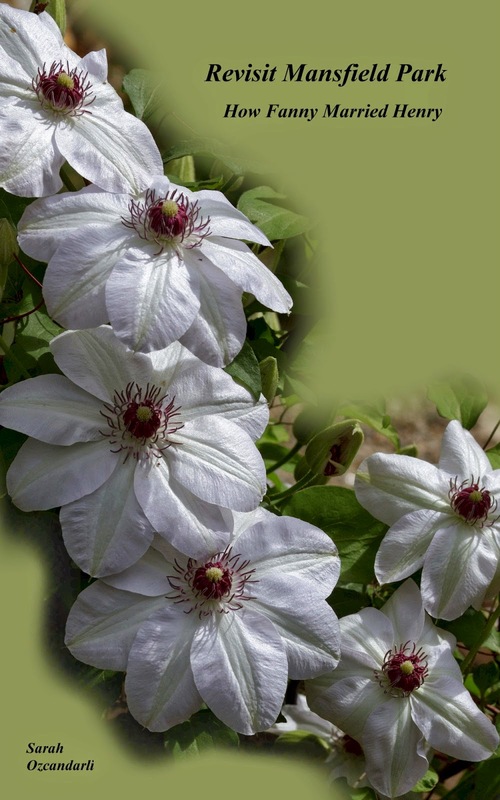 This book is called Revisit Mansfield Park: When Fanny Married Henry by Sarah Ozcandarli and explores what could have happened if Fanny had married Henry Crawford. You might well remember that the narrative in Mansfield Park is quite clear that a marriage was entirely possible. Would he have persevered, and uprightly, Fanny must have been his reward, and a reward very voluntarily bestowed, within a reasonable period from Edmund’s marrying Mary. So this is a variation that has been begging to be written. I haven’t seen any reviews of it or even read the sample, so I have no idea whether it’s likely to be good or not. 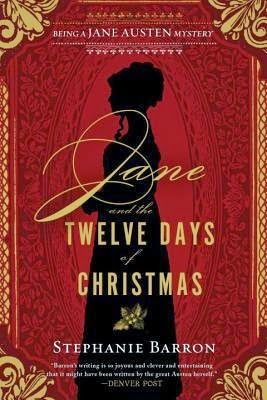 My next planned read is Jane and the Twelve Days of Christmas: Being a Jane Austen Mystery by Stephanie Barron which is due out in October. 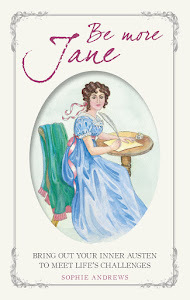 This is the twelfth of the Jane Austen Mysteries series, and I haven’t read any of them so far, though they’ve been on my wishlist for a while. I enjoyed reading a murder mystery with an Austen flavour last month, so hopefully this one will be just as good, one difference being that Jane Austen is a character in this novel, rather than it featuring the characters that she created. I also hope to read Emma and Elizabeth by Ann Mychal. This isn’t a story featuring Miss Woodhouse and Miss Bennet as you might be hoping, but a story based on The Watsons, which is a story which Jane Austen abandoned writing at 17,000 or so words around the time her father died. Emma and Elizabeth are the respective names of the youngest and eldest Watson sisters. As for my other reads this month, I hope to play catch up on some of the things I planned to read in August and I didn’t get to. I hope you have some good reads lined up for September - happy reading! Thank you! Hope you have some nice reads lined up in September too. Are you back studying this month? Hi Kelli, a big change nearly always has a knock on to other things doesn't it. I increased my working hours this time last year, only by a few hours a week but it meant working an extra day and it took me months to settle into it. Hope you manage that quicker than me! I have heard all good things about the Jane Austen Mysteries, so I'm really looking forward to that one. 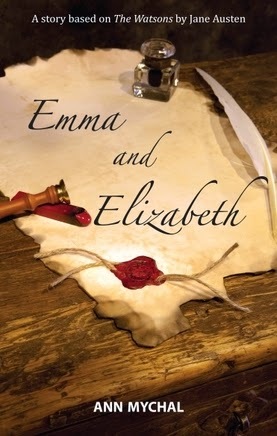 I want to read Emma and Elizabeth, I heard some great things about it. Looking forward to hear what you think. Your post made me want to go and selectively watch bits of North and South again. I loved the film, no doubt thanks largely to Richard Armitage ;) I liked the book too, but the film more, I think it glossed over a lot of Victorian mentality I don't fancy all that much. P&P with a social conscience, what a great way to describe it! I like the Richard Armitage adaptation a lot but I can't think of any adaptations I like better than the original book off-hand. The book always gives me so much more insight into things that I nearly always prefer them. I see where you are coming from, though, I am glad I live now and not then!